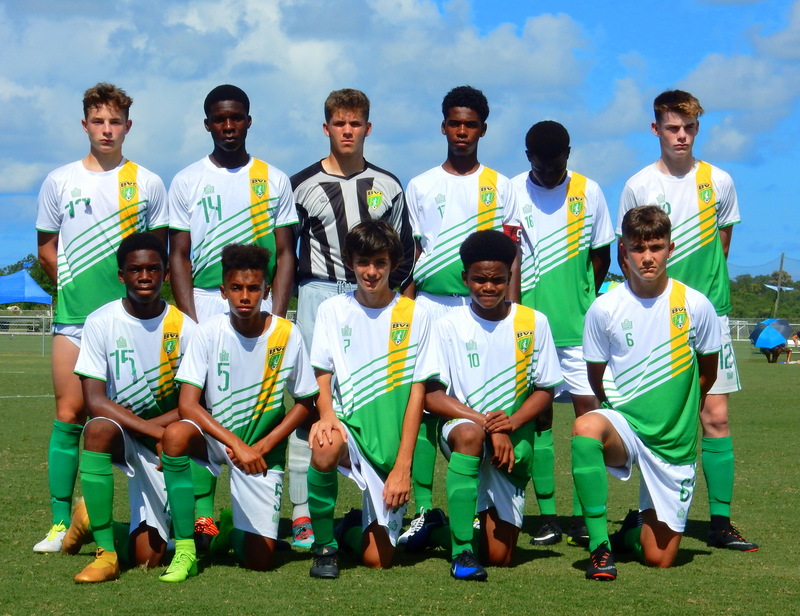 BVI Football Association » The U15 Boys Soccer team routed the Turks and Caicos 7-3, on Tuesday 15th August 2017 as the CONCACAF U15 Championship continued at the IMG Academy in Florida, USA. 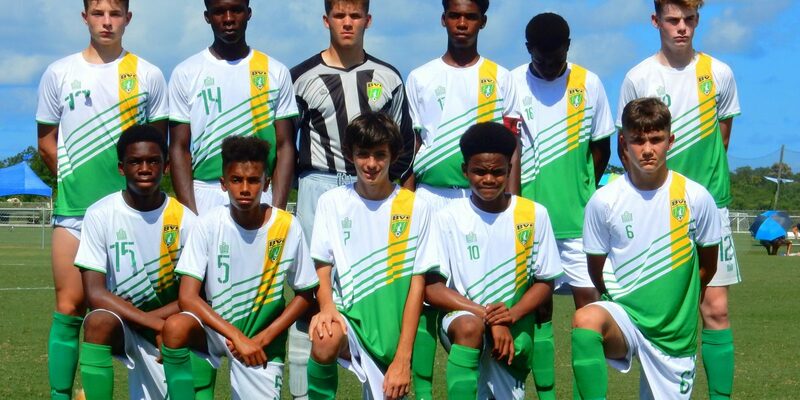 Even though the BVI Coach, Marcos Falopa, made four changes to the team that started the 4-0 win over Anguilla, the new faces quickly put any doubts about the result to rest with a dominant display. By half time the BVI were already 3-0 ahead after goals from Charles Medway (2) and Bailey Rowe. Rowe would then make it 4-0 from the penalty spot early in the second half and complete his hat trick the other side of a Marcus Butler goal to make it 6-0. Several substitutions ensued and the Turks and Caicos boys pulled a goal back before Kahil Farrington made it 7-1 with a powerful header. Hat trick scorer, Rowe concluded that he felt very happy to net three times on his full debut and also noted that the BVI had thoroughly outplayed TnC and there should be no problem in coming out with a win over Montserrat in Wednesday’s final group match. The BVI top the group with six points ahead of Anguilla and Montserrat, who have three each.